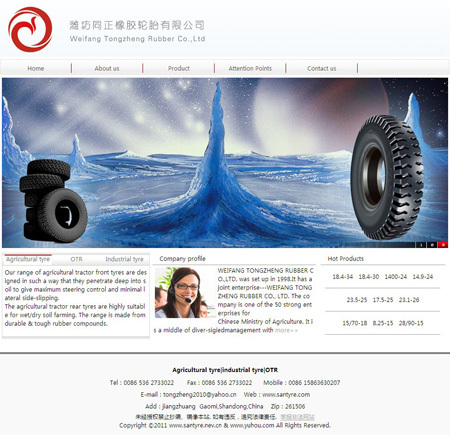 WEIFANG TONGZHENG RUBBER CO.,LTD. was set up in 1998.It has a joint enterprise---WEIFANG TONGZHENG RUBBER CO., LTD. The company is one of the 50 strong enterprises for Chinese Ministry of Agriculture. It is a middle of diver-sigiedmanagement with agricultural tires and industrial tires as the main products. It has covers an area of more than 59000 square meters and capital amount of 100 million RMB.